Do you like the look of drapes, but need the light control of shades? Luminette Privacy Sheers from Hunter Douglas are the answer for you! 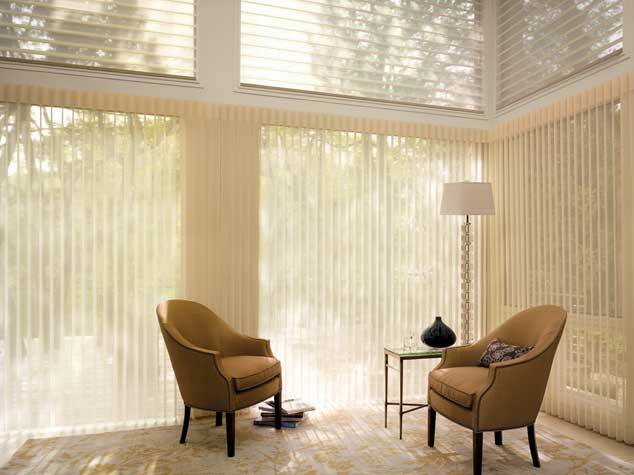 These beautiful sheers feature translucent fabric facings and rotating soft fabric vanes so you have complete control over light and privacy. We frequently install Luminette sheers for large windows, sliding glass doors, French doors, and walls of windows.